I absolutely love crafting and one of my favorites is painting. It takes me into another world and I feel so posh while I’m painting canvases. A few months ago a local craft store did a buy 3, get 3 free canvases. Now. If you do anything with canvases, you understand that this is the steal of the century. I was wild with excited and motored on over! I bought a big long one (that I did my balloon dart painting on), a nine pack of small squares, and a larger squareish one. The 3 others went a friend of mine, as we went halfsies on this deal. Now these canvases below aren’t the ones I bought on this wicked sale, but I just am using this as an excuse to tell you about that delightful sale. Anywho, the point of this post is to show you my two festive winter paintings. The penguin one was a little stressful to do as it was “human like”. I had to get it to look like a friendly animate object. And honestly, I couldn’t be happier with how it turned out. He’s so dang cute!! Even as I went back and reread this post before it went up, I was super impressed and really proud of it. 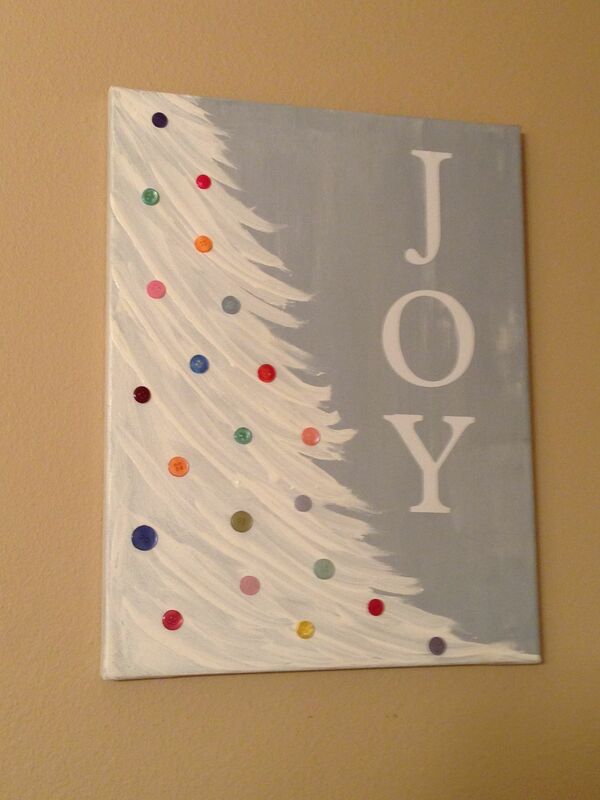 The Joy Tree one….my only fuss is with the letters. I never paint words or letters because my handwriting is awful, ergo, my painted handwriting is going to be way worse. I used a letter template that my friend had, but made a mistake and had to paint over it. I was quite distraught over how it ended up because you can see it underneath the new letters, but I was unsure of how to fix it and ended up leaving it alone. 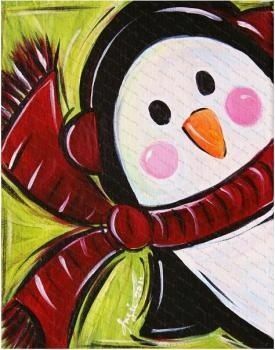 Do you enjoy painting or what’s your crafty outlet? Do you have anything festive you’ve created? My goodness that penguin is adorable!! I really like the tree, too though!!! They both turned out super awesome!!! Oh thank you!! I like them both a lot for different reasons!!! Oh thank you so much, that really means a lot😊 there’s something about being crafty that is so fun to me. I bet if you keep trying things, you’ll find something! Those are wonderful Abbey! I think if you fill in the stencil part of the “o” you might like it better. Just a thought. That penguin is too adorable for words, and the concept of both are fabulous. I love the sweep of the tree branches!